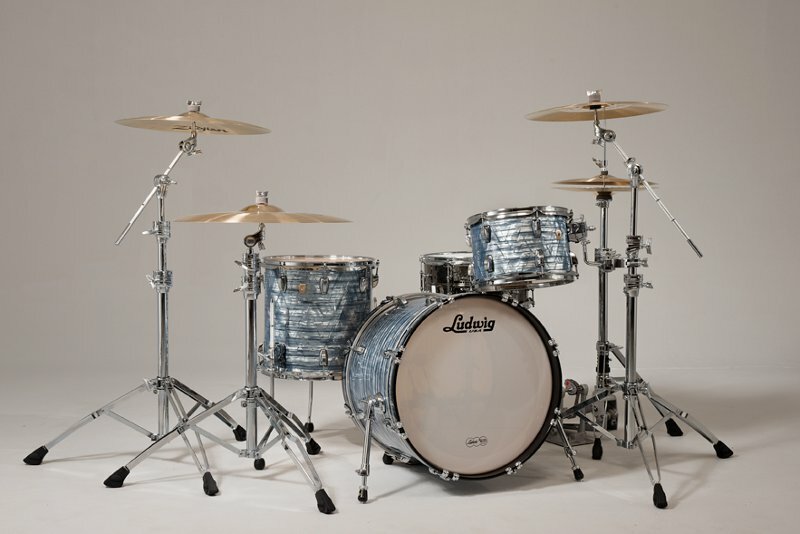 Ludwig is manufacturing the Downbeat Shell Pack in their Noth Carolina plant. 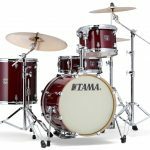 Using 7 ply Maple shells and 45 degree bearing edges, the drums are sensitive with a wide dynamic tuning range and a sharp attack for live performance. 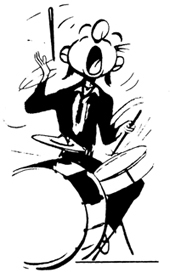 They feature mini-classic lugs, and a virgin kick drum with the tom holder mounting off the cymbal stand. 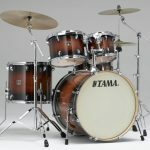 These are drums made in the USA with top quality materials and craftsmanship. 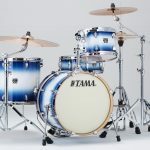 The shell pack consists of 3 drums: 14×20 Bass, 8×12 Tom, 14×14 Floor Tom Tom; and clamp-on tom holder only. 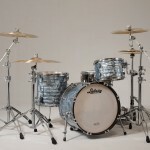 Finish is Sky Blue Pearl.